Biomedical Research – Postdoctoral Training Opportunity (Salary: $48,400) Department of Pathology, School of Medicine, Case Western Reserve University, Cleveland, OH, USA. A postdoctoral position is open in Dr. Wenzhang Wang and Dr. Xiongwei Zhu’s laboratory in the Department of Pathology, School of Medicine at Case Western Reserve University (CWRU). School of Medicine at CWRU is one of the top medical school in United State and its Department of Pathology ranks among top 10 pathology departments in NIH funding. The Zhu and Wang’s laboratory has a long history of NIH-supported study on the study of cellular and molecular biology of neurodegenerative diseases especially Alzheimer’s disease and Parkinson’s disease. You will perform experiments to study mitochondrial changes and their interactions with other organelles in cell models and animal models of Alzheimer’s disease under the direction of Dr. Wenzhang Wang and Dr. Xiongwei Zhu. You will discover crucial metabolic or bioenergetics interventions to alter the disease process in these models. Successful candidates must have recently obtained a Ph.D degree in life sciences or related majors. Previous demonstrated experience, competitive publication record and working knowledge in molecular biology, cell biology and neuroscience techniques are highly preferred. Additional background and working experience with animals and primary tissue/cell cultures is a plus. The laboratory is well-funded and currently expanding. The Fellow/Scholar will have the opportunity to work on cutting-edge research, network with internationally renowned scientists and receive outstanding training. Competitive salary health insurance are included within this position. 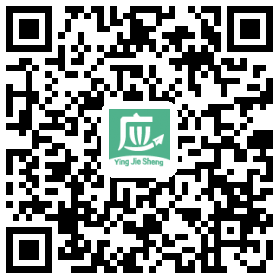 Interested individuals should send a cover letter, curriculum vitae and the names/phone numbers of three references to Dr. Wenzhang Wang (Email: Wenzhang.wang@case.edu) or Xiongwei Zhu (Xiongwei.zhu@case.edu).